Alkali chemicals are any substance that in water solution is bitter and is irritating or caustic to the skin and mucous membranes, turns litmus blue, and has a pH value greater than 7.0. 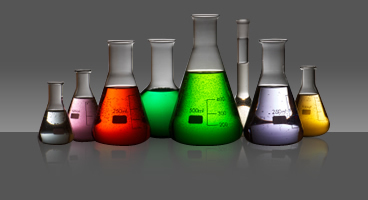 Alkali compounds are any of a large class of compounds with one or more of the following properties: bitter taste, slippery feeling in solution, cause other indicators to take on characteristic colors, ability to react with (neutralize) acids to form salts. Included are both hydroxides and oxides of metals. Common strong bases (alkali compounds) are Sodium and Potassium hydroxides, (alkali hydroxide) Ammonium hydroxide, etc. These are caustic and corrosive to skin, eyes, and mucous membranes. The pH range of basic solutions is from 7.1 to 14.